Last week was an important achievement for NOWA with the official launch in France. 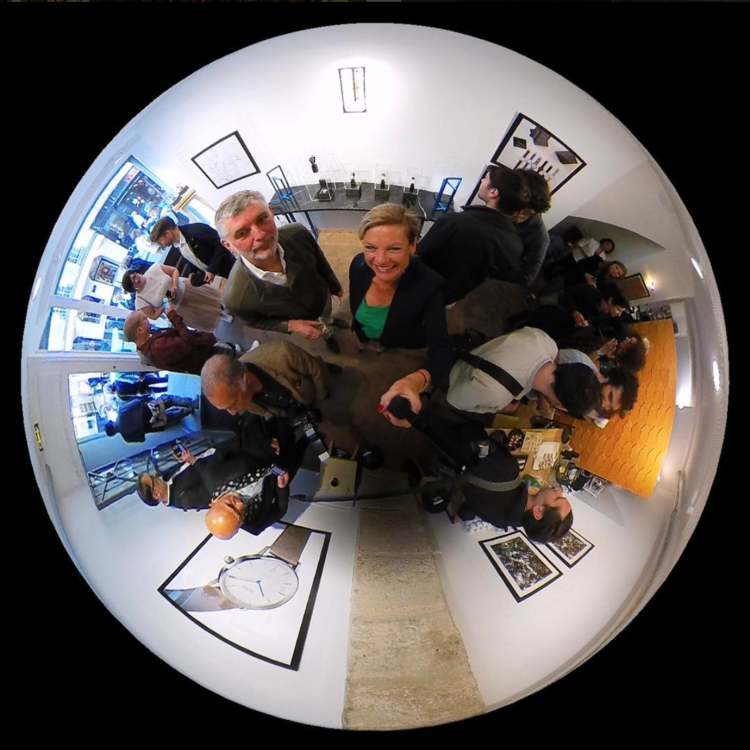 We welcomed more than 100 journalists, distributors and contributors to the Eric Gizard gallery, 10 Rue Jean-Jacques Rousseau, 75001 Paris, France. 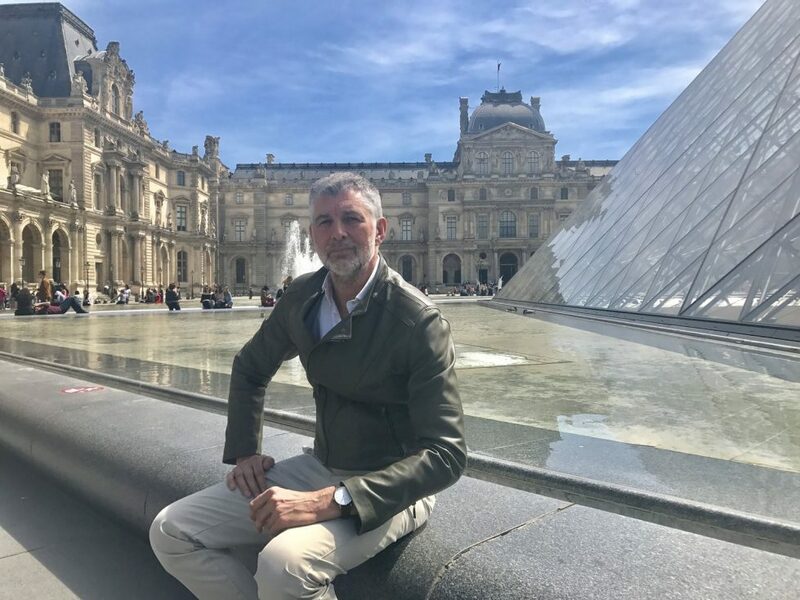 We started the journey with an intimate live interview with the renowned and bold French designer Eric Gizard, in front of the Louvre Pyramid. The weather was great and the interview was led by Stéphanie Cansell (@steffcansell) on Periscope. Eric detailed his past experience in interior and industrial design, as well as decorative art in collaboration with prestigious French brands such as Roche Bobois, Saint Louis, Hermes, and Air France. The Louvre, with its Iconic glass pyramid leading into the Museum, was the perfect backdrop for learning about his design philosophy characterized by the timeless fusion between classicism and modernity. Eric was proud to explain how he achieved the design of a slick and elegant 40 mm watch of less than 10 mm thickness while still integrating useful intelligence. 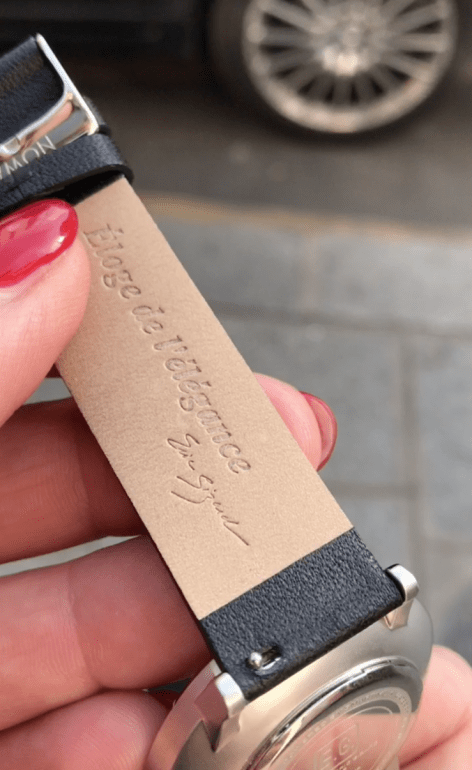 On that day, we also did a presentation of the NOWA Shaper watch on the street between the Louvre and the Gallery where the event was hosted, with the help of our local French engineer. He demonstrated live, with his watch in one hand and his iPhone in the other hand, the beautiful simplicity of the watch features. NOWA is the slimmest hybrid smartwatch with classic timekeeping controlled by a phone. The NOWA watch delivers accurate time anywhere across the globe by syncing with your smartphone via Bluetooth Smart Technology. When the watch is not connected to the phone, precise time is ensured through it’s best-in-class, Ronda Swiss Parts quartz movement. The NOWA watch is also a powerful activity tracker with step counting, distance and calories burned, sleep monitoring, and smart controls for camera, calls and phone recovery ring. All fitness data is securely saved in Google Fit or Apple Health apps. 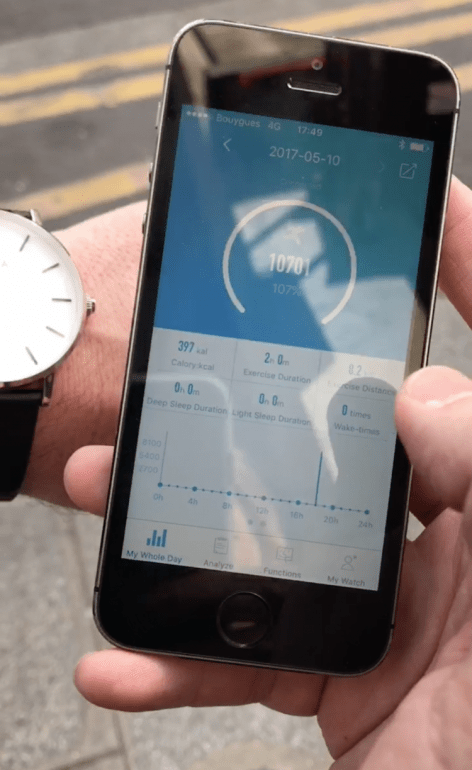 The NOWA watch is simple and minimalist and requires no charging! It changes styles when you do by allowing easy strap changes using the quick release spring bars. WELCOMING PARISIANS AND TRAVELERS AT THE GALLERY. We were grateful to share this special event with fans, journalists and influencers both from Paris and from all over the world. A special thank you to Alex and Mina for organizing the event with elegance and attention to details, to Stéphanie who took us live, and to Gaia for her excellent work with the media. To reward supporters, we offered them a special promotion code for 43% off on any Shaper watch model for 24 hrs. The NOWA watch is expected to be sold in France at prices from 200 EUR to 229 EUR. Our first collection of elegant smart travel watches – Shaper – is now on display and available for sale at the Eric Gizard gallery. You may pre-order the watch at $149 and receive it in August of 2017. NOWA Watch launch party in our creative studio & gallery – Circle of Excellence. The NOWA Shaper collection displayed at the Eric Gizard Gallery for fans, distributors, reviewers, and bloggers. Watch the interview of Eric Gizard on Periscope. Watch a street live demo of NOWA on Periscope.